For the first time uploaded in full! Still easy and cheap to find in shops, perhaps mostly second hand. 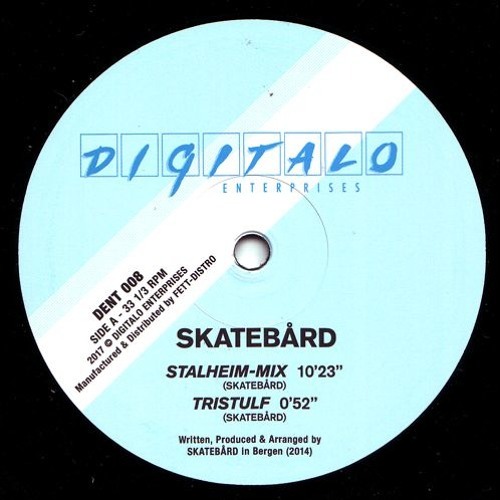 https://www.discogs.com/Skateb%C3%A5rd-DJ-Sotofett-Stalheim-Mix-Digitalo-Mix/release/10908828 Of course the B-side is really good too: https://www.youtube.com/watch?time_continue=2&v=b0rEcLO1KII Digitalo Enterprises Dent008, 2017.